DIXON – A fire this morning in the 1000 block of Corregidor Road in Dixon caused an evacuation of homes and a factory in the pre-dawn hours of Friday. 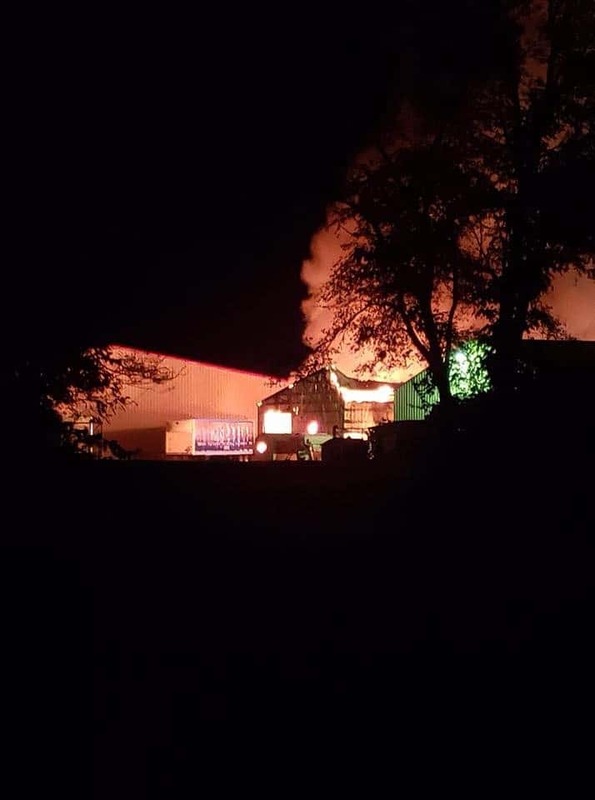 A farm ag chemical warehouse was found fully engulfed, according to the Amboy Fire Department Chief Bryant. There were no injuries reported and the evacuation has been lifted. Amboy, Sublette, Ashton, Waterman, Franklin Grove, Dixon Rural, Dixon City, Sterling and Rock Falls all responded to the blaze.